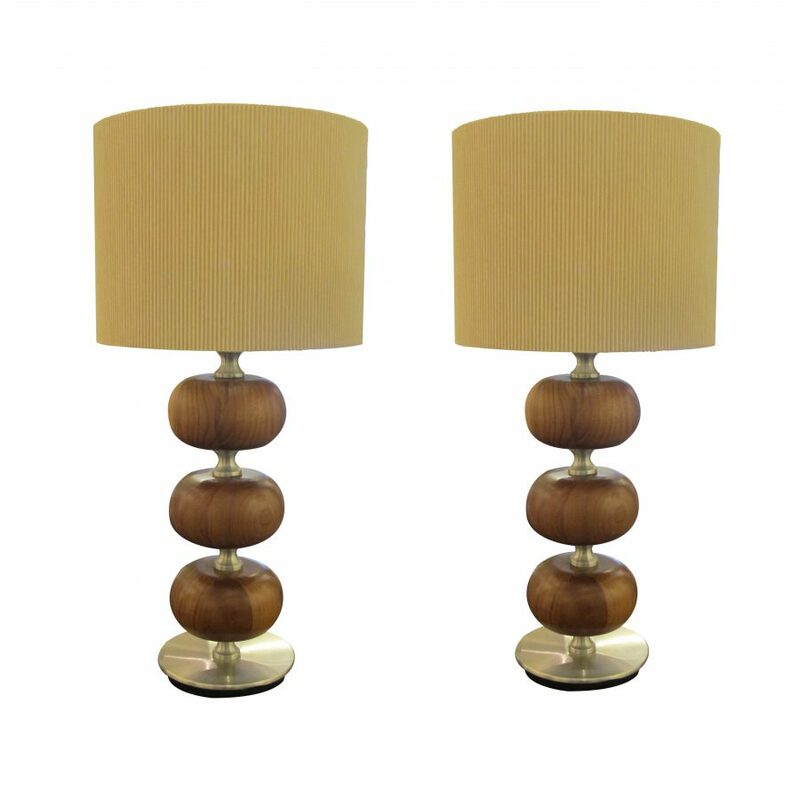 A beautiful 1970’s clam table lamp. 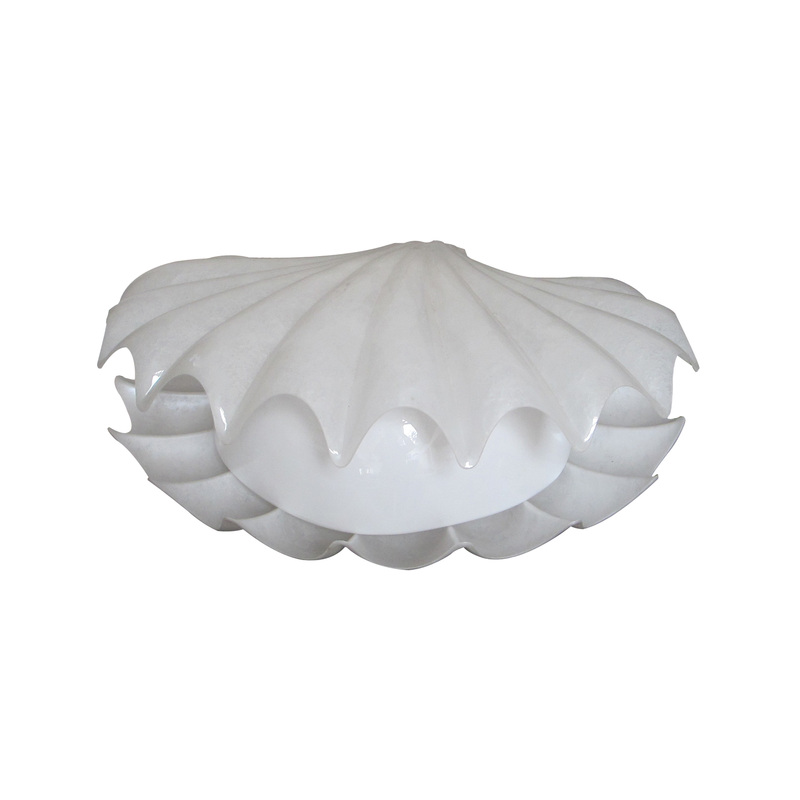 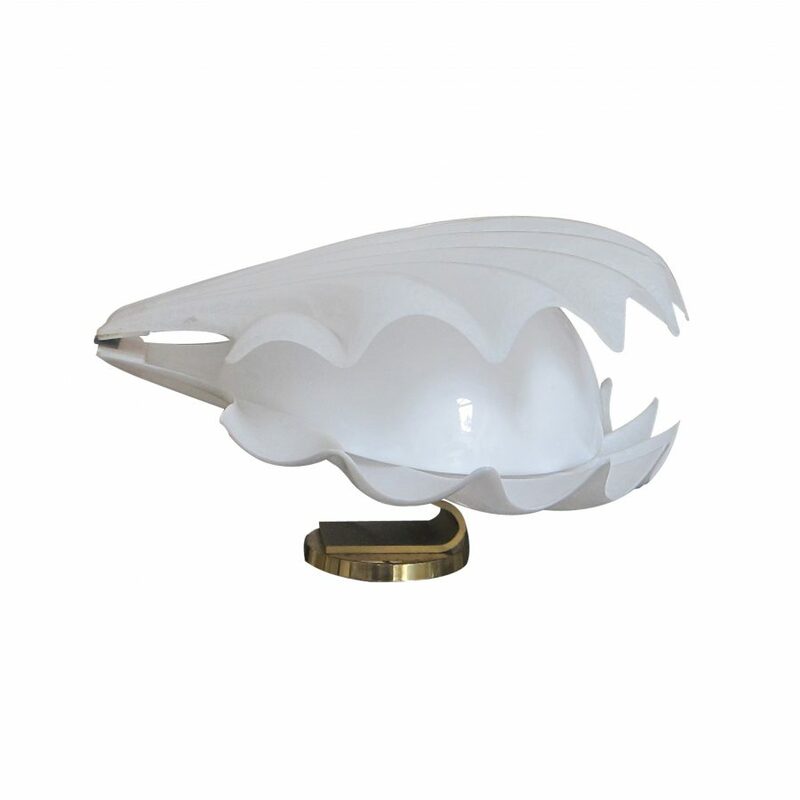 This large lamp in the shape of a clam was manufactured by Rougier in 1970. 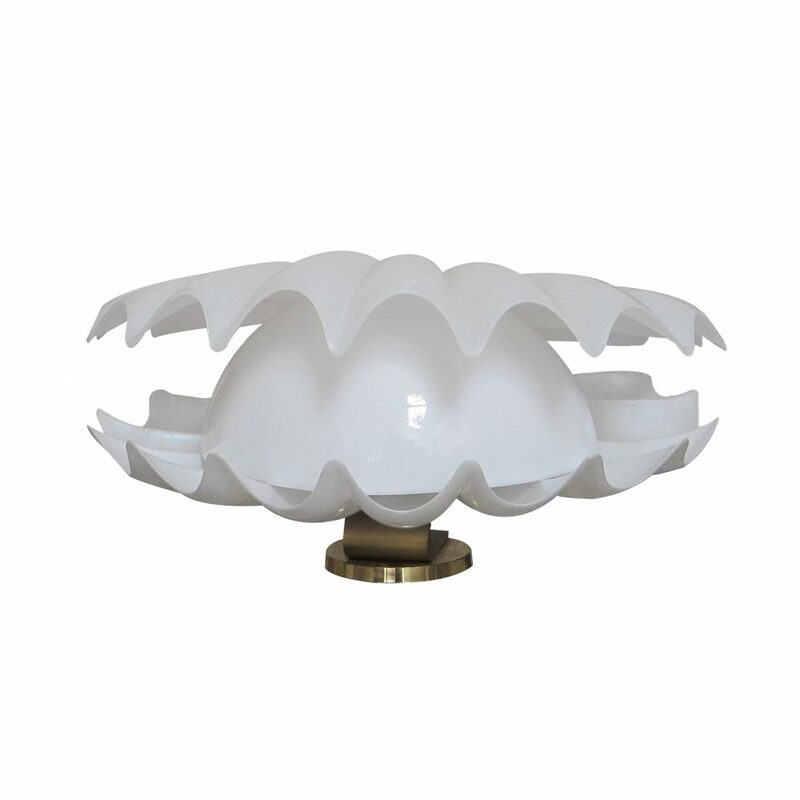 The piece is made from plexiglass sitting on a brass base.